(+)-SJ733 is a clinical candidate for malaria which can also inhibit Na+-ATPase PfATP4. IC50 & Target: Parasite, Na+-ATPase PfATP4 In Vitro: (+)-SJ733 binds to a single receptor site in P. falciparum-infected erythrocytes with equivalent affinity to its growth-inhibitory potency (kd=50 nM). (+)-SJ733 has not exhibited either significant safety liabilities at any dose in extensive profiling in vitro or significant safety or tolerability liabilities in either single- or repeat-dose studies at any dose tested in any preclinical species (no observed adverse effect level and maximum tolerated dose >240 mg/kg from 7-d repeat dosing study in rat). Therefore, (+)-SJ733 is expected to have a safety margin of at least 43-fold. In Vivo: Treatment of P. falciparum-infected NOD-scid IL2Rγnull mice with (+)-SJ733 causes rapid clearance of parasites, which are 80% depleted within the first 24 h and undetectable by 48 h. (+)-SJ733 is highly potent and efficacious against P. falciparum 3D70087/N9 in vivo when administered as four sequential daily oral doses in the NOD-scid IL2Rγnull mouse model, with a 90% effective dose, (ED90 1.9 mg/kg) and exposure [area under the curve at ED90 (AUCED90), 1.5 μM⋅h] superior to artesunate (11.1 mg/kg; AUCED90 not determined), chloroquine (4.3 mg/kg; AUCED90 3.1 μM⋅h), and pyrimethamine (0.9 mg/kg; AUCED90 5. μM⋅h) in the same model. When treated with the ED90 dose, (+)-SJ733 concentrations in blood remain above the average in vitro EC90 for 6 to 10 h after each dose. Cell Assay: 10 mL of asynchronous culture suspensions (2% hematocrit), at different parasite densities (104, 105, 106, 107, and 108 parasites), are added to each well of a 6-well plate. 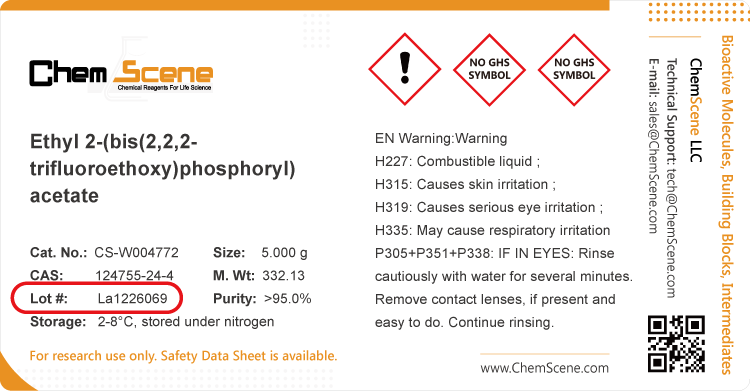 (+)-SJ733 is added to each well to make a final compound concentration of 1.8 μM, corresponding to 30×EC50 of the compound. Three wells are used for each parasite density. Plates are incubated at 37° C under an atmosphere of 90% N2, 5% O2, 5% CO2 for 90 days under constant drug pressure. The media of each well is replaced 3 times a week with freshly made media containing a compound concentration of 30×EC50. In addition, each well is split (1:2) once a week. Parasite outgrowth is monitored 3 times a week by transferring quadruplicate 40 μL aliquots from each well into a 384-well assay plate and determining parasitemia by a previously described method. Animal Administration: The pharmacokinetics of (+)-SJ733 are studied in overnight-fasted male Sprague Dawley rats weighing 267 to 291 g predose. Rats have access to water ad libitum throughout the pre- and post-dose sampling period, and access to food is reinstated 4 h post-dose. (+)-SJ733 is administered intravenously as a 10 min constant rate infusion (1.0 mL per rat, n=3 rats) and orally by gavage (10 mL/kg, n=3 rats). The IV formulation consists of pH 7.4 isotonic phosphate buffered saline containing 1% (w/v) hydroxypropyl-β-cyclodextrin, 10% (v/v) ethanol, 10% (v/v) propylene glycol and 40% (v/v) PEG400 whereas the oral formulation is an aqueous suspension in 0.5% (w/v) hydroxypropyl methylcellulose, 0.5% (v/v) benzyl alcohol and 0.4% (v/v) Tween80. Aliquots of the formulations are retained for analysis of the actual dose administered. Samples of arterial blood and total urine are collected at various time points up to 24 h post-dose. Jiménez-Díaz MB, et al. (+)-SJ733, a clinical candidate for malaria that acts through ATP4 to induce rapid host-mediated clearance of Plasmodium. Proc Natl Acad Sci U S A. 2014 Dec 16;111(50):E5455-62.